It’s something we don’t notice until we’re absolutely sick and tired of them: windows. It’s easy for us to grow bored with our home windows, and it shouldn’t cost a fortune to replace them. The good news is that there’s no need to get too fancy or expensive to have appealing and functional window treatments for your home. 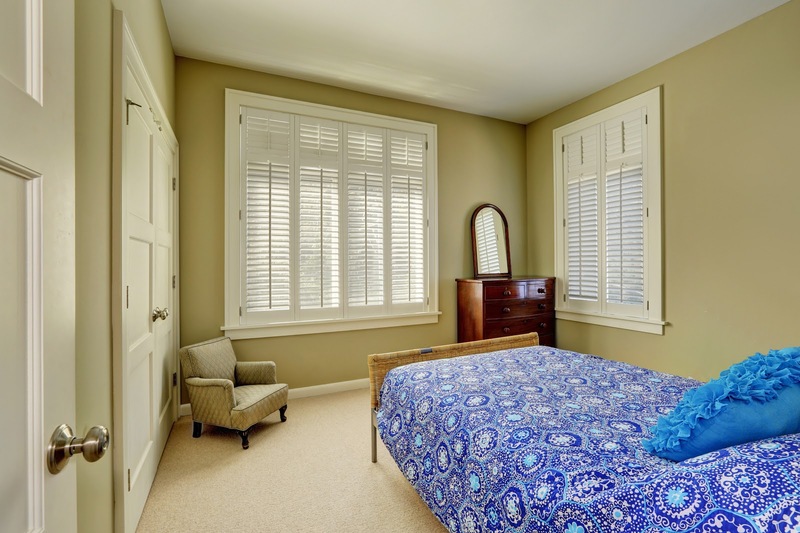 Your interior shutters should be practical and inviting. Before you get estimates for your window treatment options, these practical, minimalist options may be just what you’re looking for. Add a little ethereal magic to your home by using organic elements to brighten your space. Natural wood rods can take your room to a whole new level of inspiration. You can use a branch or wooden rod solid enough to set evening on curtain rod brackets, much like you would with traditional curtains. While these window treatments act as a fun, playful cover for your windows, you’ll get the most out of them by adding a lighter set of shades to ensure warm air stays outside where it belongs but lets in the perfect diffusion of light. If you’re looking for something simple, clean, and no fuss, simple drapes will do the trick. Ring clip drapes move freely when you want them to, covering the area of your choice. These sleek, minimalist window treatment are light and offer a warm glow while making the room appear larger. For interior shutters in Fort Pierce that grace the top of your ceiling, you can find lengthy window treatments that compliment larger parts of the home and have larger windows such as a study, den, or even the dining area. They almost appear to be floating alone as the curtain rod is hidden beneath the curtain itself. They are perfect if you prefer motorized curtains as they are out of the way and can be controlled by a simple remote to cover harsh daylight. Give tracked room dividers a try! These highly efficient ceiling mounted tracks offers privacy without compromising space. It’s a practical and minimalistic way to dress your home. Divider window treatments provide an alter ego of style for the homeowner. If you have a studio in your home and want to separate the sitting area from the working area, a simple solution is tracked room dividers. Are your interior window treatments in need of repair? Perhaps you’re looking for a professional eye to shed some light on your window curtain options and offer their expert advice. Indian River Shutter Company has been servicing the Fort Pierce, Port St. Lucie, Vero Beach, and the surrounding area for over 20 years. You will find your exact match with our one-of-a-kind interior window treatments in Fort Pierce and your satisfaction is guaranteed. Stop by our shop, take a look at our gallery online, or give us a call today!